Wouldn’t it be really great to be able to walk super fast? 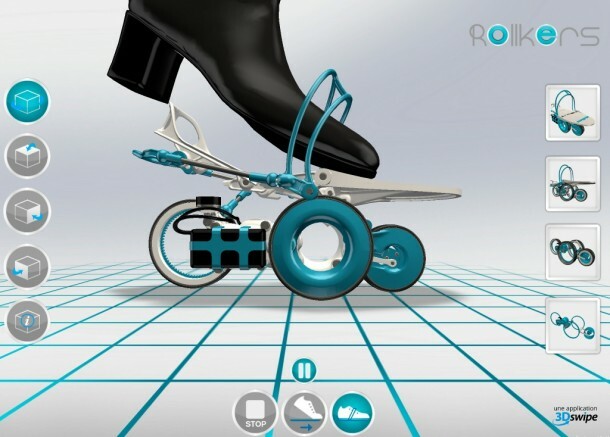 Rollkers is a device that can attach to any shoe and enable its wearer to walk as fast as 11km/h. The device was displayed at the Consumer Electronic Show 2015. Now you can use a little extra pep in your step. Rollker gives new meaning to the term ‘wearable technology’. The company offers a set of motor-powered “under shoes” that slide around your sneakers and cause a slight increase in momentum. 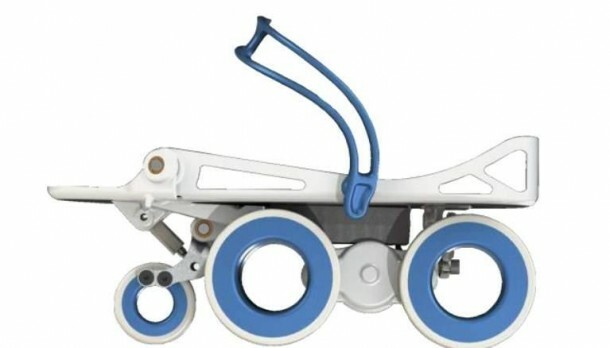 The impressive thing about Rollkers is that it has a controller that helps to stabilize and assist movements so that walking in it feels natural. Unlike roller skates, the Rollskers’ learning curve is kept short and even first-time users can quickly get on Rollkers and start walking. 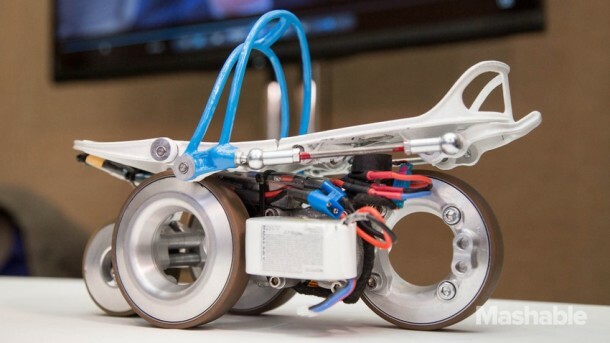 It is powered by an onboard lithium-ion battery that automatically recharges itself by converting kinetic energy from motion to electrical energy. Rollkers add motor power to your stride, quickening your pace to up to 7mph. 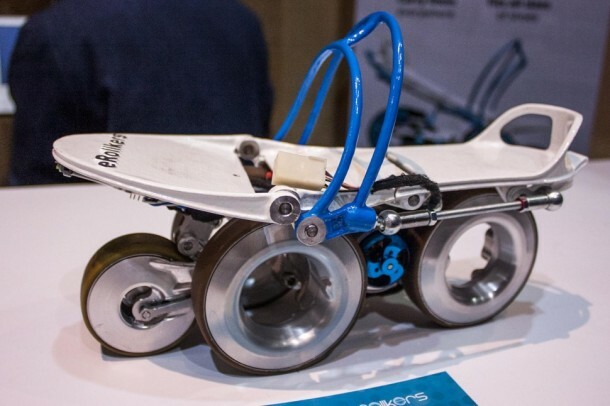 According to the company, Rollkers don’t require any training and offer self-balancing stability. All you have to do is walk forward and the motor starts. The founder of Rollkers, Paul Chavand loved airport-style moving walkways, so he figured he would apply the same concept by strapping it to your feet. 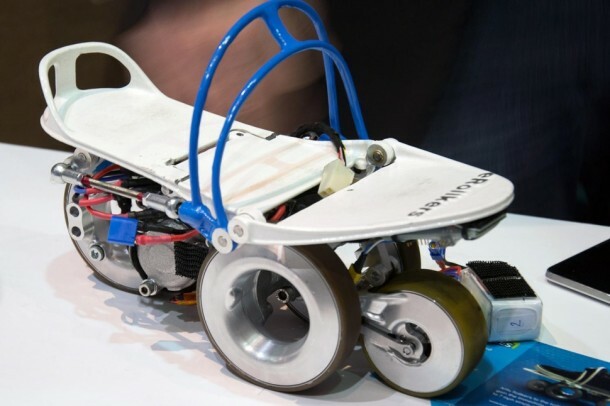 Each skate features a small electric motor and four oversized wheels designed to handle rough surfaces. The electronic stabilization system keeps you on your feet and moving forward, while the articulated heel allows for natural walking when not skating.